Watch from the side as it twists and turns. Look down from above into the swiftly swirling water. 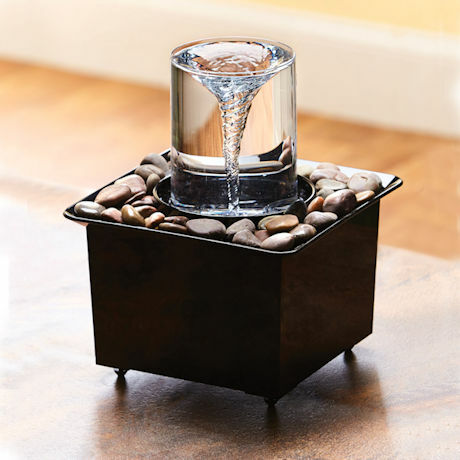 Visually captivating, soothing to hear, a vortex fountain is a physics lesson and a mesmerizing water feature. 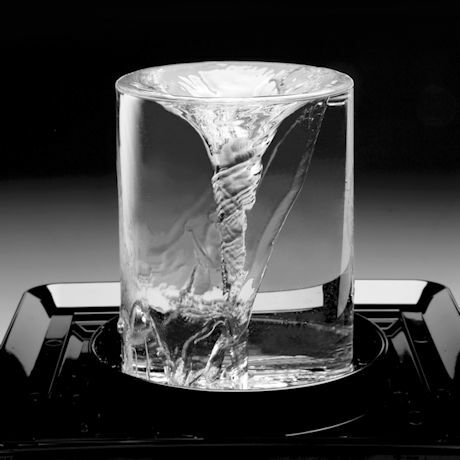 Water spills quietly over the edge of the cylinder (no splashing) and falls gently down the sides. 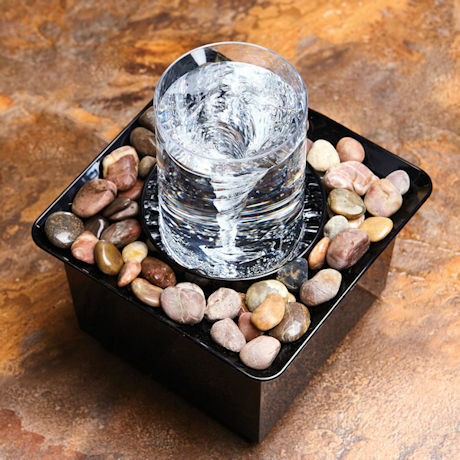 Stones are not included but you can decorate the tray any way you choose: marbles, pebbles, air plants. Clear acrylic and heavy-gauge polymer. Recirculating pump, 6' cord. 10½" square, 13" high. Indoor use. Please allow 2-4 weeks for delivery.